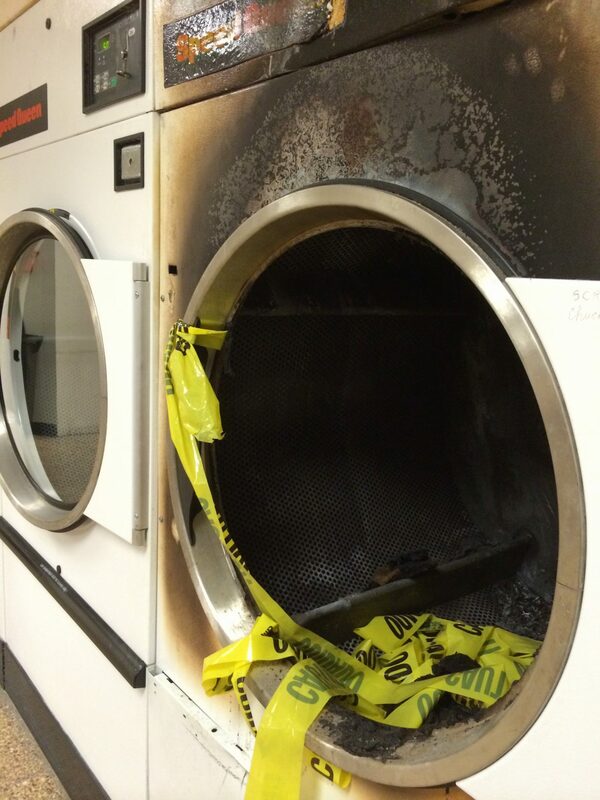 Remember, sort your clothes before you go to the laundromat. It’s more efficient and more polite. Do any pre-stain treatment before you go as well, so you won’t be juggling all those containers. Laundry, detergent, dryer sheets, that’s it. Sniff the machines before you use them. Not for gross reasons — OK, those too — but to make sure the person before you didn’t use bleach. Bring rolls of quarters. Change machines may be broken. Don’t leave your clothes unattended. Getting into a dryer and starting it up sounds cool, but it really isn’t. Even if your friend who’s really good with his camera is going to take the ultimate Facebook avatar pic for you. Even if there’s no way anyone would ever catch you, and you can fit right in there, no problem. Especially if your friend thinks the picture would be SO MUCH COOLER if you had sparklers in your mouth cuz it would spin around and he could use a long exposure and get this funky circular fire effect, he’s done it a hundred times before. A dozen times. Couple times. At least. He’ll tell you it’ll be awesome. Also: dryer lint is highly, really highly flammable. Also also: It’s harder than you’d think to open the door of a dryer when you’re inside it and spinning and on fire and your friend has bolted. I know all this now.